That our eyes do not need rest to function? It's true! It's only our eye lids that rest, not our eyes. Our eyes are the only part of the body that have the ability to function 100% without rest! Even when our eye lids are closed, our eyes are still functioning. Our eye muscles are the most active? An average person blinks about 12 times minute, and up to 10,000 blinks a day! That's pretty amazing. The skin at our eye area is 10 times thinner. Sad but true, as much as I hope this is a false statement. The skin around the eye area so much thinner as compared to the rest of our face. The skin on our face itself is already delicate, but the eye area is even more delicate! Which also means that fine lines and wrinkles would appear much faster! Not to forget we women put eye make up, chemicals, and also when removing eye make up we wipe the area a lot of times. What are the most common eye problems that we experience? Puffy eyes sometimes can be caused by genetics, yes genetics is the worse cause because it's harder to prevent. Puffy eyes are also caused by water retention and fatty deposits. For dark circles, I would like to use my picture as an example, because dark circles are something I've been experiencing for quite long now. I believe my causes of dark circles are lack of quality sleep, lack of water, too much late night, lack of exercise, too much on the computer, and more which I may not know of. Dark circles can also be a genetic cause, but other than that it is usually lifestyle and environment. Fine lines, wrinkles, and droppy eyelids are like the main the enemies for most of us women, but unfortunately it is the natural process of life and environmental factors. However, what we can do is prevent it for as long and as much as possible. But in time we all have to eventually accept the fact. This product contains grape seeds and polyphenols which gives anti-oxidation. Its organic grape water in this product helps in moisturizing, soothing, de-congesting, and activates micro-circulation. Besides the ingredients I've stated, the other highlighted ingredients are such as hyaluronic acid and vinolevure to name a few. The product is 92% natural and hypo-allergenic. What to expect out of this product? 55% of hydration after 1 hour, and expect your eye area to still feel hydrated as much 46% even after 4 hours. You'd be surprised that after 6 hours from the time of application the hydration is at 41%. What I really like about this is not only that it's for dark circles and lifting, but because the texture is gel cream. It is difficult for me to use eye creams because they tend to give me oil seeds under my eyes and they are disgusting looking. So i'm really glad that this is gel cream textured. 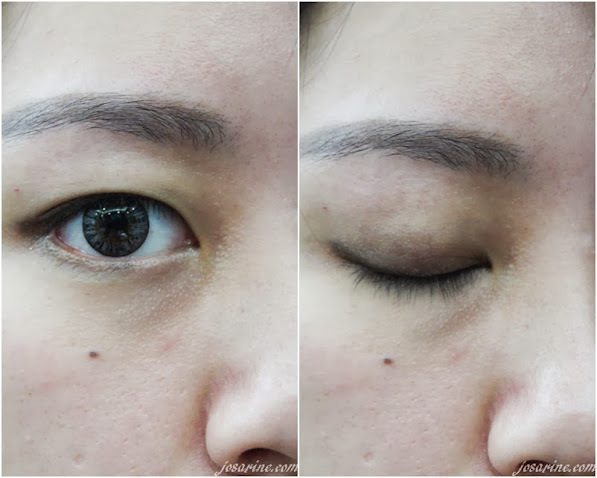 This product has stated to give immediate lifting effect, and of course anti-dark circles. Its natural ingredients are such as fern (lifting), plant glycerin (moisturizing), horse chestnut and licorice (anti-dark circles), last but not least, tetrapeptides and ceramid 3 (anti-wrinkle). This product was clinically tested on 19 women by an independent Laboratory agreed by French Minister of Health. Based from the test results, it is proven that deep wrinkles were reduced by 25%, and dark circles reduced for 75% if the women. An experiment was done on 21 volunteers for 28 days, and the results have showed 68% lifting effect on eyelids, 81% decongesting effect, and 77% reduction of puffiness. Do not worried about chemicals because this is 98% natural ingredients, oil-free and scent free, especially for those with sensitive skin. 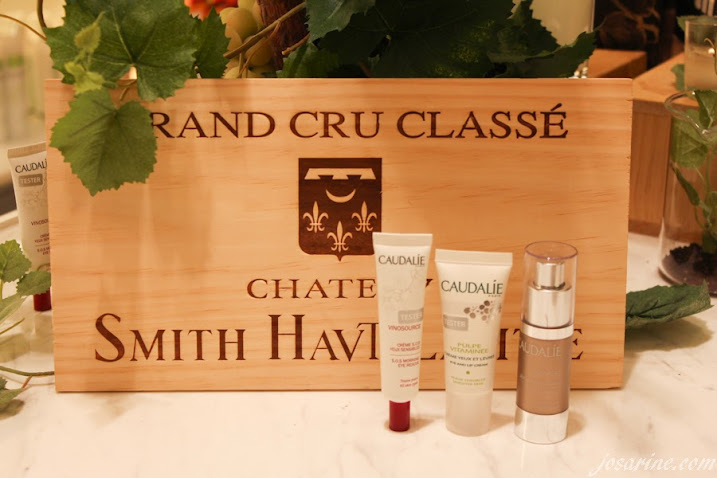 Here are some of other Caudalie products. The huge bottle that I'm holding is water spray. 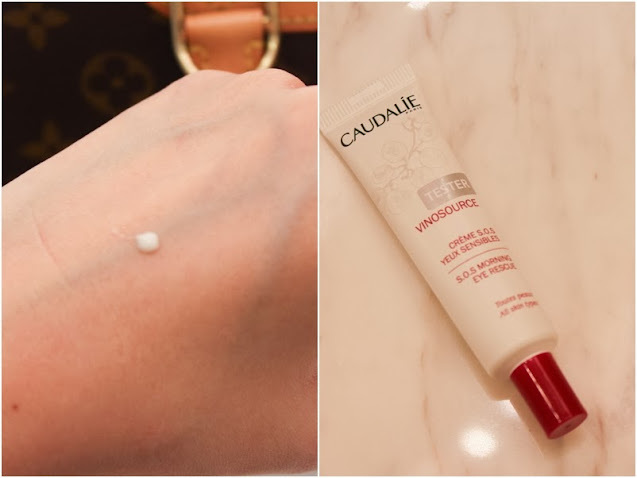 Most water sprays usually give a dry after feel, but for Caudalie it does not feel that way. Us with our goodie bags! Special thanks to the Lilac Box Community for inviting us to this workshop. L-R: Shannon and Rane. 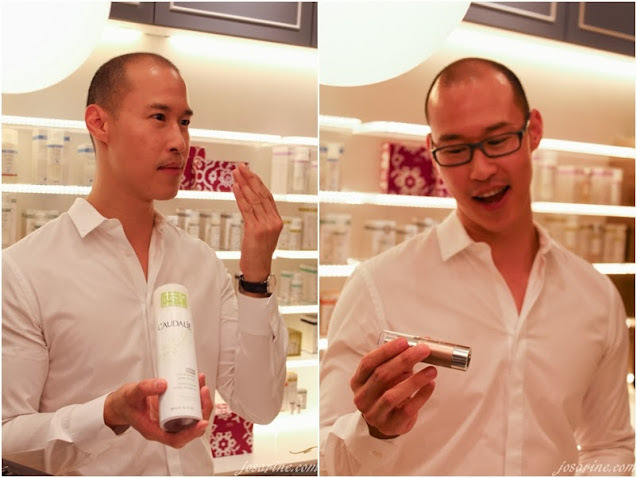 Visit Ken's Apothecary at Bangsar Village 2 to check out the products and also get assisted to know which eye cream is suitable for you. "Like" their Facebook Page here to receive updates and also read more about them. Please do not use products without trying. As I have develop terrible eye seeds from using Caudalie. I have done some research and found out that the product maybe too rich for some to use. 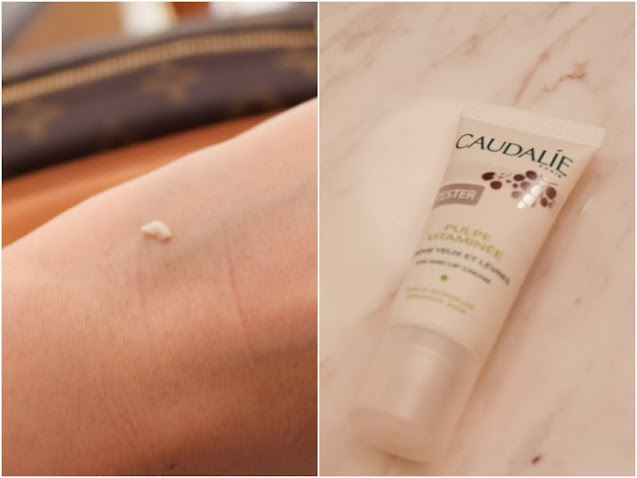 Caudalie has been known to cause breakouts to heaps of friends and family of mine, and they discolour very quickly. Ren (which is also carried in KENS) on the other hand is good. For any of you out there, I recommend that better as its more natural.